At Houma-Thibodaux Spine & Rehabilitation, your whole-body wellness is our top priority. We know that symptoms are rarely isolated, and pain is usually a sign that your body needs help to heal. Our chiropractors and other wellness professionals are committed to finding all-natural, long-term solutions for all your health concerns, from chronic pain to acute injuries and underlying conditions. We serve patients of all ages and lifestyles throughout the Houma and Thibodaux communities, and we offer a customized approach that is different for every single patient. Learn more about our chiropractic services, and how you may benefit from our all-natural treatment and rehabilitation techniques. Chiropractic adjustments, also known as spinal manipulations, are quick and natural maneuvers that allow us to restore balance to your spine. 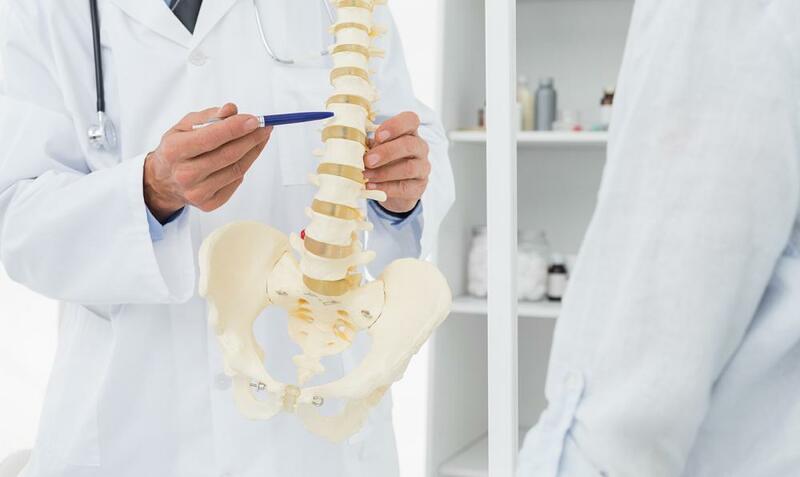 Spinal misalignments are the root causes of many different symptoms and conditions, including pain in the neck, back, shoulders, head, and legs. Our chiropractors perform both manual and instrument-assisted adjustments to restore alignment, depending on the type and amount of force that a patient needs to heal. At our spine and rehabilitation center, we treat a variety of sudden and repetitive injuries. For example, our athletic patients' sports injuries range from strains and sprains to ACL tears and degenerative conditions that require ongoing treatment. We also provide pain relief and corrective care after personal injuries and help patients file insurance claims. If you need diagnostic imaging to point us in the right direction, we have digital X-ray equipment on site to get a better picture of your injury. Our chiropractic care actually starts before birth. Prenatal chiropractic care is an ideal pain management option for pregnant women, because it offers pain and stress relief without invasive procedures or risky pharmaceuticals. We help pregnant patients manage symptoms related to their physical and psychological changes, and our goal is to make pregnancy more peaceful for them and their unborn children too. If muscle inflammation or tension is preventing your body from fully healing, you may benefit from massage therapy. Our chiropractic teams supplement many of their techniques with massage therapy, which targets the tissue instead of the joints to reverse inflammation and restore the proper flow of blood and energy throughout the body. If your muscles, tendons, or ligaments are under pressure, we may use massage therapy to release tension and promote cell regrowth. If you have a herniated or bulging disc that is putting pressure on a sensitive nerve, your chiropractor may recommend a specific technique called spinal decompression therapy (DTS). This is a form of traction therapy for your spine, designed to encourage bulging disc matter to retract in order to relieve pressure on spinal nerves. We offer spinal decompression in both of our wellness centers. After the source of your symptoms is corrected, you may still benefit from physical therapy to fully regain your mobility and flexibility. Our chiropractic care includes physical therapy to improve posture, restore range of motion, loosen tight muscles, and other benefits for patients with injuries or chronic pain conditions. We also offer specialized exercise therapy that allows us to mobilize your muscles and joints in specific ways to promote healing. Diet plays a huge role in our overall wellness, affecting everything from weight loss and weight gain to mood swings and energy levels. Protein is one nutrient that plays an especially crucial role in your musculoskeletal system. You must consume the right amount of protein for your specific body and lifestyle in order to heal from injuries and maintain proper poster, and our Ideal Protein programs are designed to find that amount. Our chiropractors in Houma and Thibodaux will work with you to make sure your personal nutritional requirements are met. Our Louisiana chiropractors are proud to serve patients throughout Houma and Thibodaux. New patients receive a free consultation, so it's easy to get started on your custom chiropractic regimen. Just call us today to schedule your first appointment in Houma or Thibodaux. Call 985-873-8586 for a free chiropractic consultation in Houma, or to schedule your chiropractic care in Thibodaux. We look forward to helping you heal.